CHICAGO (AP) — Former President Barack Obama urged community organizers and social innovators to be patient in their pursuits of wide-scale community change. Obama made the plea during a talk Monday at the Obama Foundation summit in Chicago. Obama talked extensively about his background as a community organizer, his experiences as a politician and writing his book. He joked writing the book is a “brutal” process he says is causing strain in his marriage now that Michelle Obama has launched her book tour. 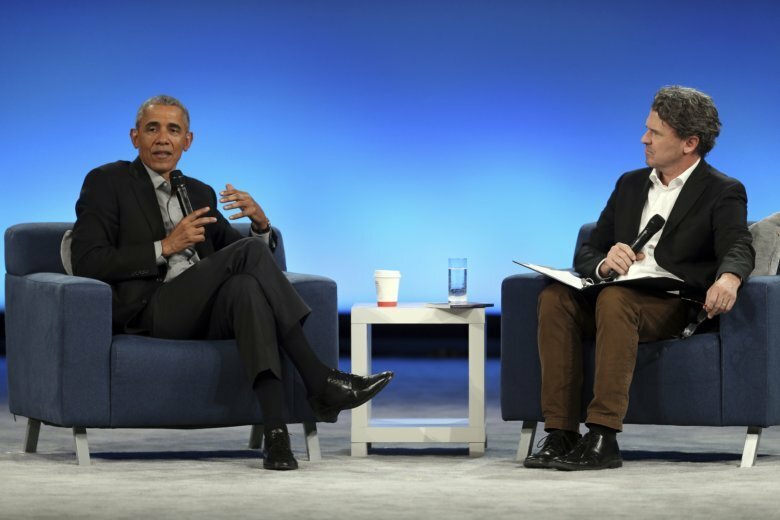 Obama delivered his remarks from a plush chair, engaging in a conversation with author Dave Eggers. The Obama summit is a two-day conference that brings together civic innovators and community activists from around the world to network, exchange ideas.